oh, sweet joy! : nursery planning! Wooooo! We had a nice little break from Handmade Monday and tutorials will start again soon. In the meantime, I thought I'd share our "handmade" nursery ;) Okay, it's a stretch, but just go with it. We are DIYing a lot of the items in it, so it totally counts, right? 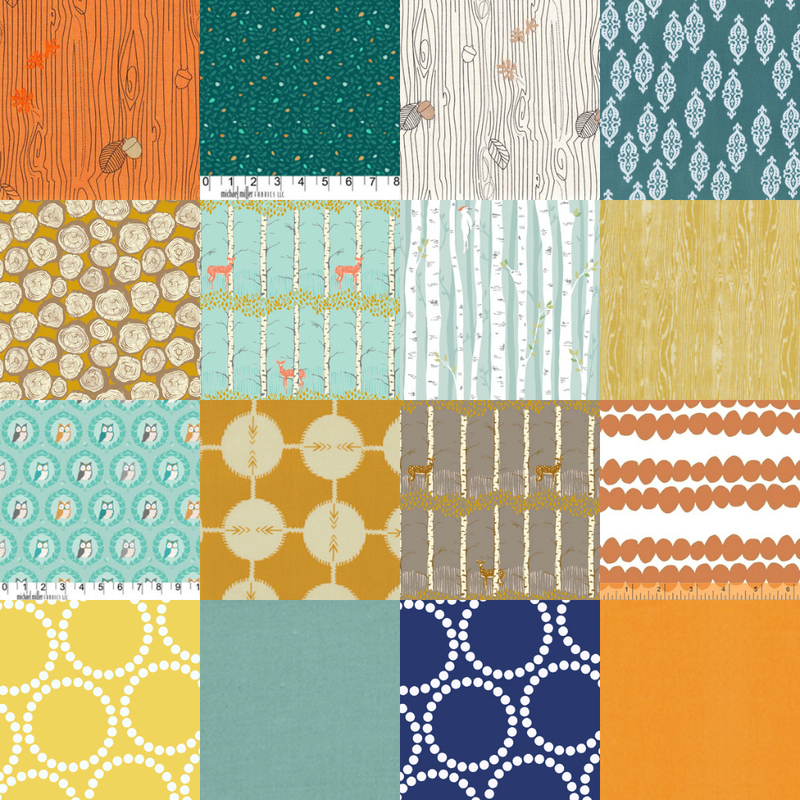 I'm making the bedding and possibly the curtains, so I basically have to pick a few "main" prints from the following selections and will go off of those for some solid accents. It's so tough to make decisions! I love your choices! All of them. That grey & white woodgrain fabric is adorable! It's always so hard to decide when there is so much cuteness to choose from. Surely your nursery will be fabulous though. so much cute stuff out there! Both of those themes are great! I'm loving pretty much everything about your nursery ideas! What darling themes–baby boy's going to have the most adorable nursery! Both of the themes are so cute... how will you ever choose??? i bought that sweet little foxy for our babe. our theme is 'woodlands' and i am loving it! That's a tough choice! I love the idea of an adventure theme though! Is it weird to be jealous of a baby's room? Looks like it's going to be adorbs! So darling! 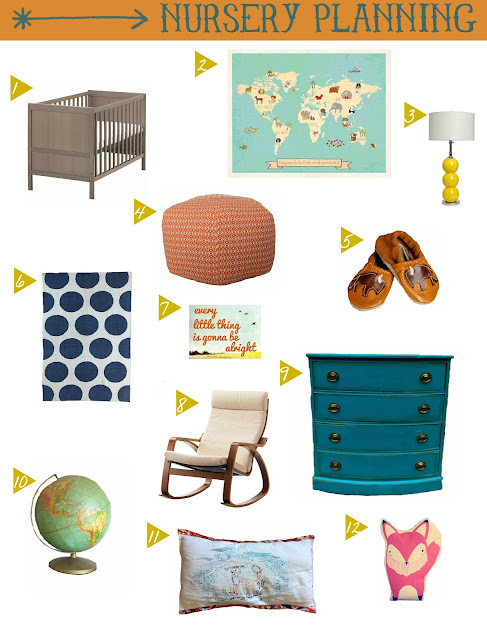 I love the polka dot rug (I'm thinking about buying it for our own wee one's nursery!). Plus, we can argue with adventures and maps!! We are using the Ikea rocking chair for our nursery too! Do you have links or just the main website/store where you found some of your fabric? I'm really interested in the second row of fabrics- we are trying to do natural woodgrain print and nature stuff with chevrons (rug, curtains, blanket) and some girly accents! I love seeing your theme boards, can't wait to see it all put together! Love- it, I'm 21 weeks!! We are thinking of getting that ikea crib in white, and then the Hemes dresser in that brown. Love em'.